You can research a place, learn the language, and study the customs, but there’s no substitute for actually getting out there and getting immersed in a new experience. International students who attend U.S. summer camps are treated to different experiences, providing them with a fresh perspective. At such a key point in a young person’s life, this new perspective can make an impact long after they head home from camp. Attending U.S. programs helps international students get out of their comfort zones. While a high-quality summer camp can build students’ self-confidence, improve their creativity, problem solving skills, and communication, travelling to a different country is a skill-building experience in and of itself. International students feel the thrill of navigating an unexpected environment, learn to cope with unfamiliar settings, look to peers and mentors for support, and become increasingly more self-reliant. For international students who would like to spend their university years in America, attending a U.S. summer camp can be the perfect way to test-drive that experience. With summer programs held at top U.S. universities, students can even stay on campus, explore the surrounding neighborhood with supervision, and feel more confident about their decision to study abroad. Regardless, all students will benefit from international study. In 1999, iD Tech, a family-owned Silicon Valley company pioneered the first youth summer STEM education programs. 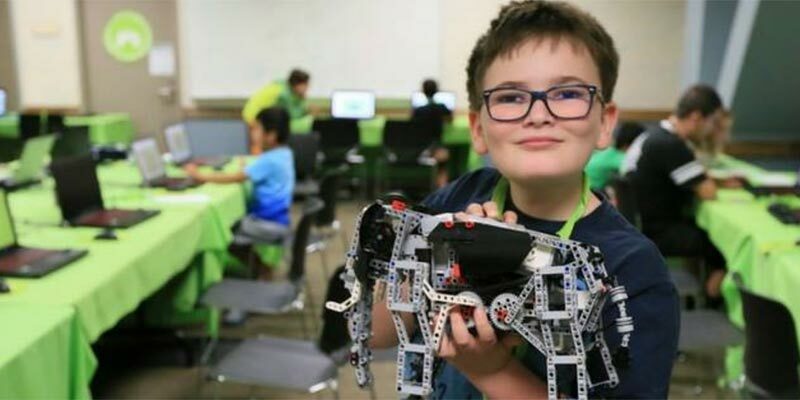 Eighteen years and 275,000 students later, iD Tech remains the powerhouse provider of tech education for students 6- to 18-years-old in subjects like coding, robotics, video game design, virtual reality, cryptography, 3D printing, web design, photography, and videography. In each session, students explore a top campus, create an impressive project, meet new friends, and build important STEM skills that last long after summer ends. This is an excerpt from an article that was published this week on StudyUSA.com. You can read the full article here.